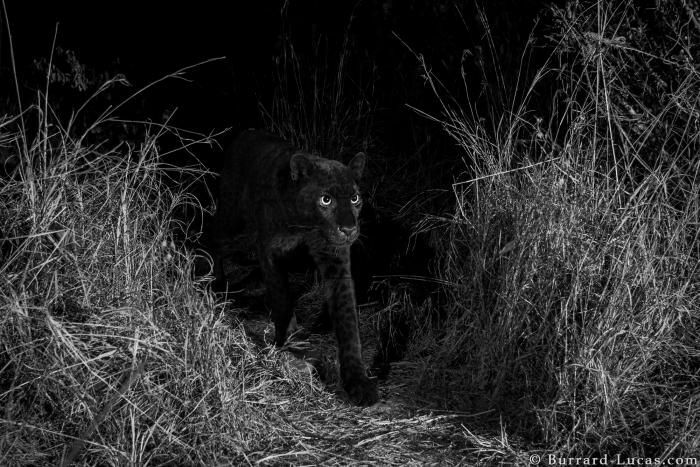 Burrard-Lucas said it had been his dream to photograph the black leopard since childhood. He took several photos at night with the hope of capturing photos of a leopard. "Black leopards in Africa are extremely rare, and prior to the observations in our published paper, the last confirmed observation was 1909 in Ethiopia". "This is not just because leopards are extremely secretive and hard to see, but also because only a tiny percentage of leopards are completely black". "The only place where we have black leopards is where this place in the Marvel Universe appears to exist".